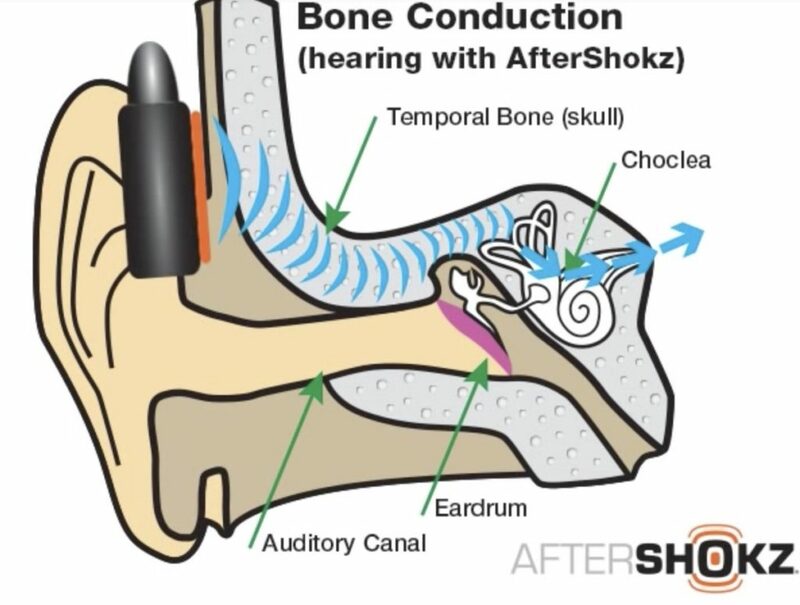 How AfterShokz Bone Conduction Technology works. 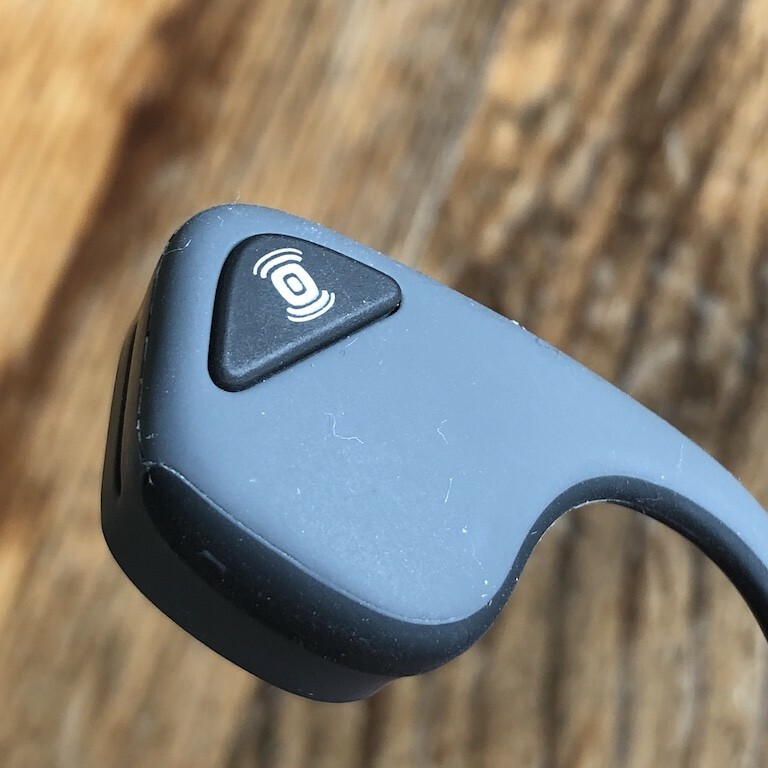 As humans we have evolved to hear via vibrations transmitted between the molecules in the air – funny that, what with us not being fish! 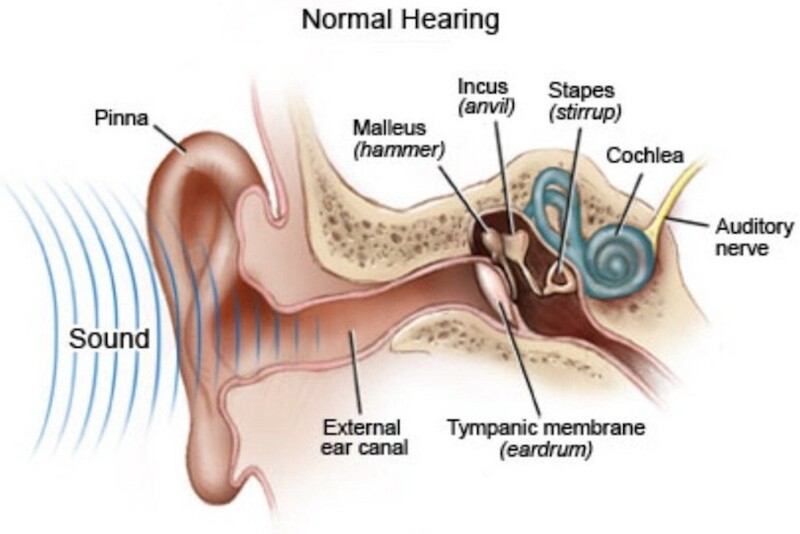 But sound can be transmitted through other materials and substances – such as a piece of string and two cans – which is an EXCEPTIONALLY crude overview of bone conduction.We hear sound which is collected by the pina – that radar shaped bit on the side of the head – the pina is actually shaped to funnel sound down our ear canal and towards the eardrum, or tympanic membrane (AfterShokz has some good PR pictures of bone conduction, and as biology is biology, I thought I may as well save myself some work, and use theirs as illustrations! 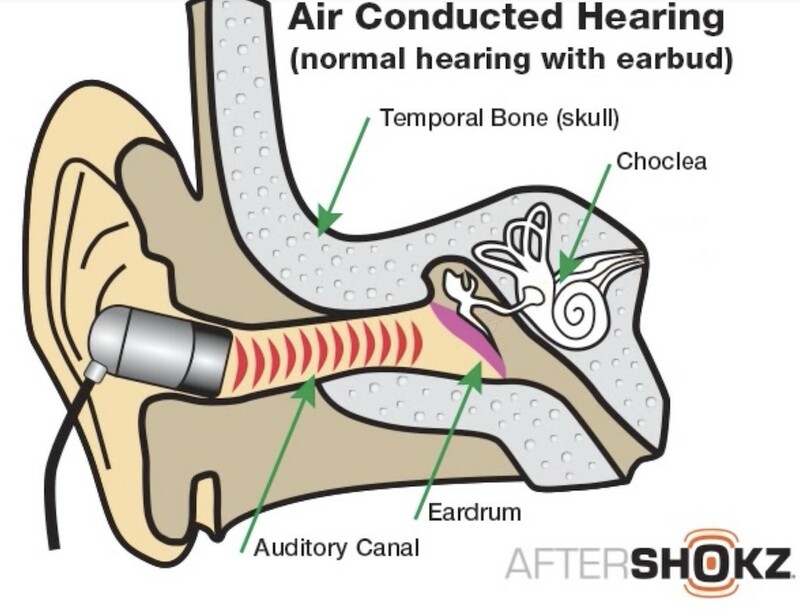 )When sound hits the ear drum, it is then amplified going through three exceptionally tiny bones (ossicles) in the middle ear, you might recall them from biology at school – the stirrup, hammer and anvil Once through these bones the sound is converted into electrical signals by the cochlea that our brain can understand – when you look at our hearing this way, it does look for all the word like we are the biological equivalent of microphone system!But if that is NORMAL hearing, where does bone conduction come in? 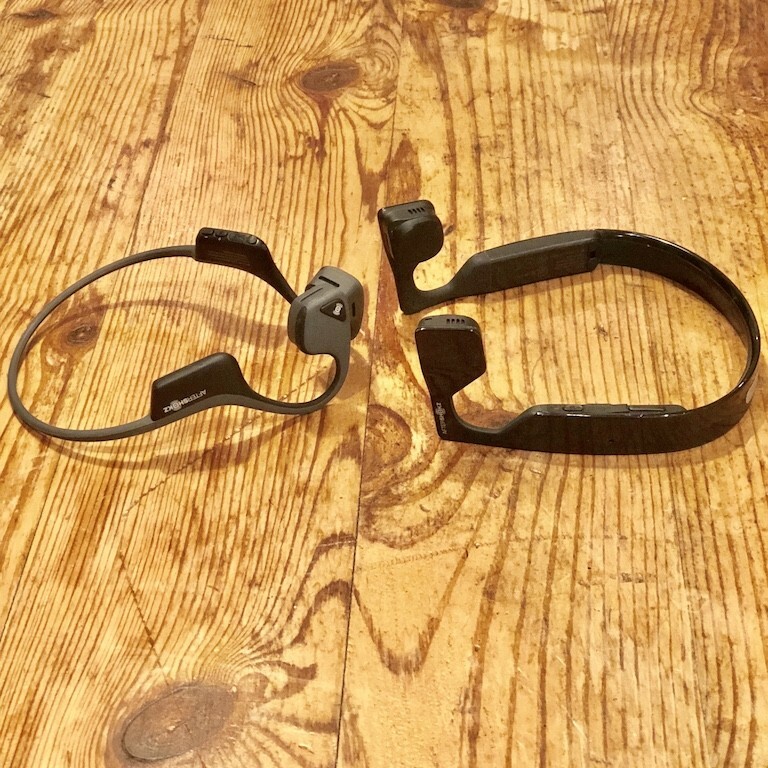 Well in the same way that the ossicles in your middle ear can transmit sound wave – so can the bones of your skull – kind of why you can hear your own voice when you put your fingers in your ears!With bone conduction headphones there is a little flat rubbery pad where a headphone bud/earpiece would normally be. 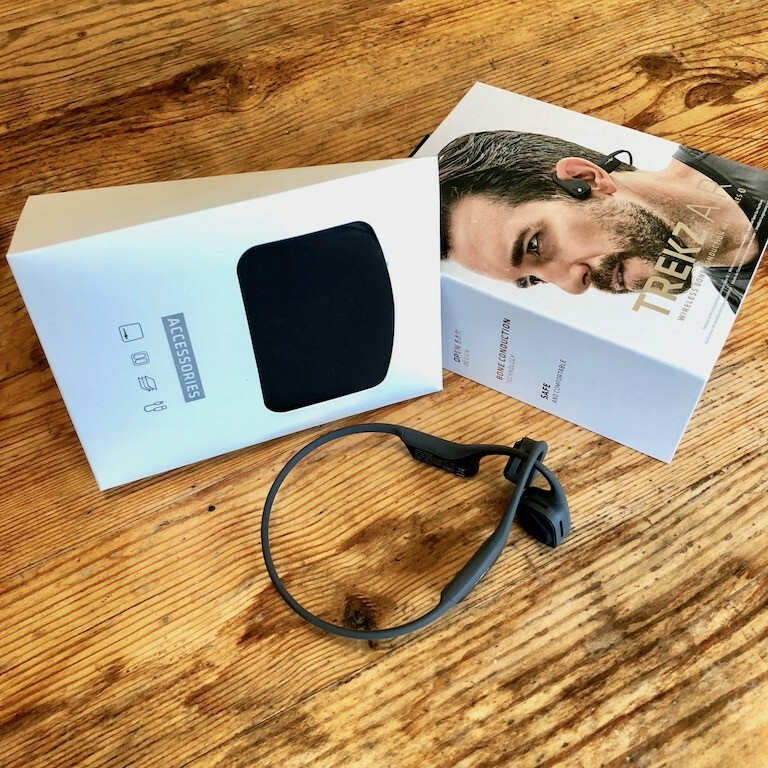 This pad touches your skin directly over part of your head called the temporal bone just in front of your ears (Yes your skull is actually made up of twenty-two separate bones, not just a big bone noggin!). 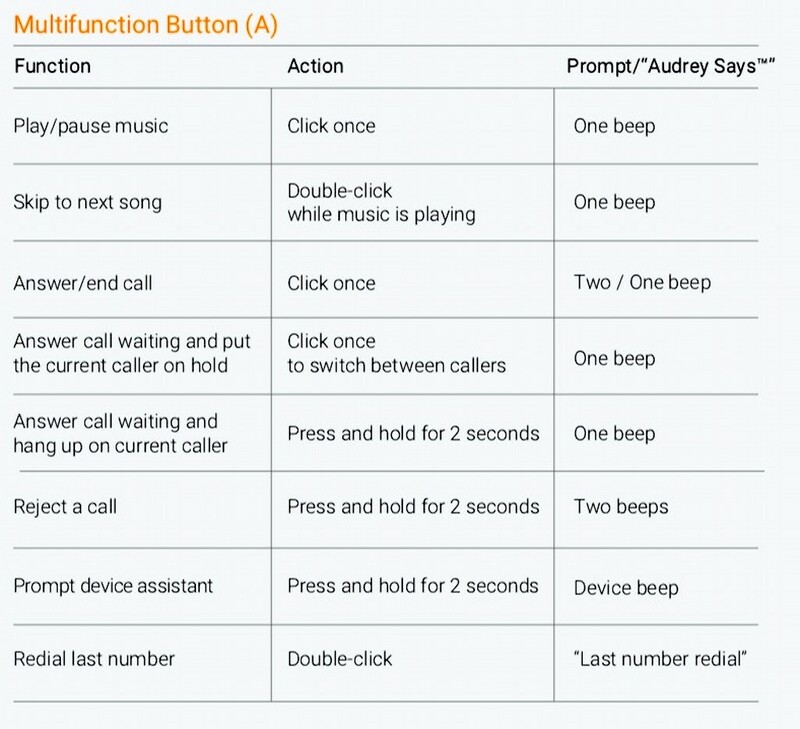 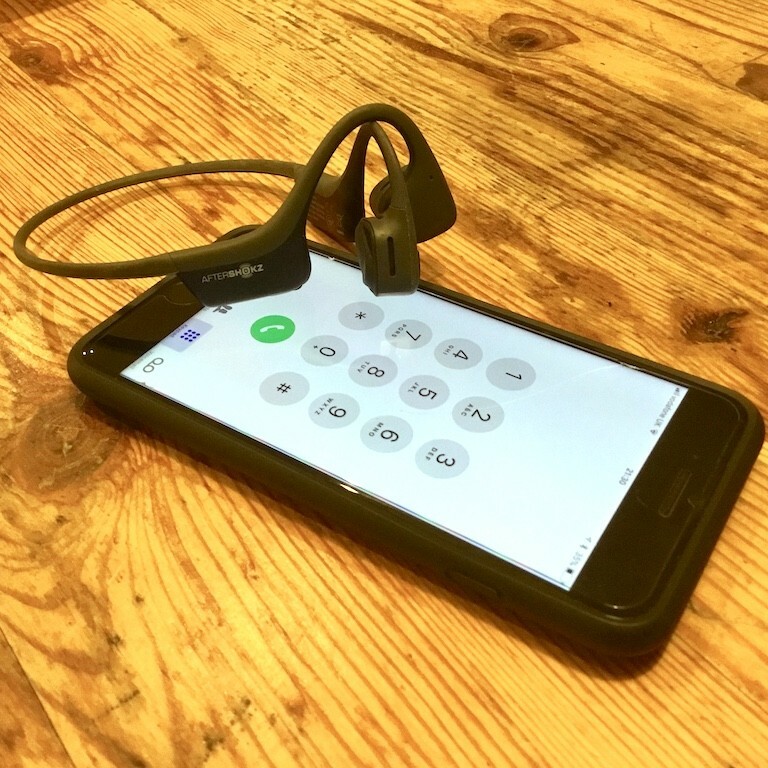 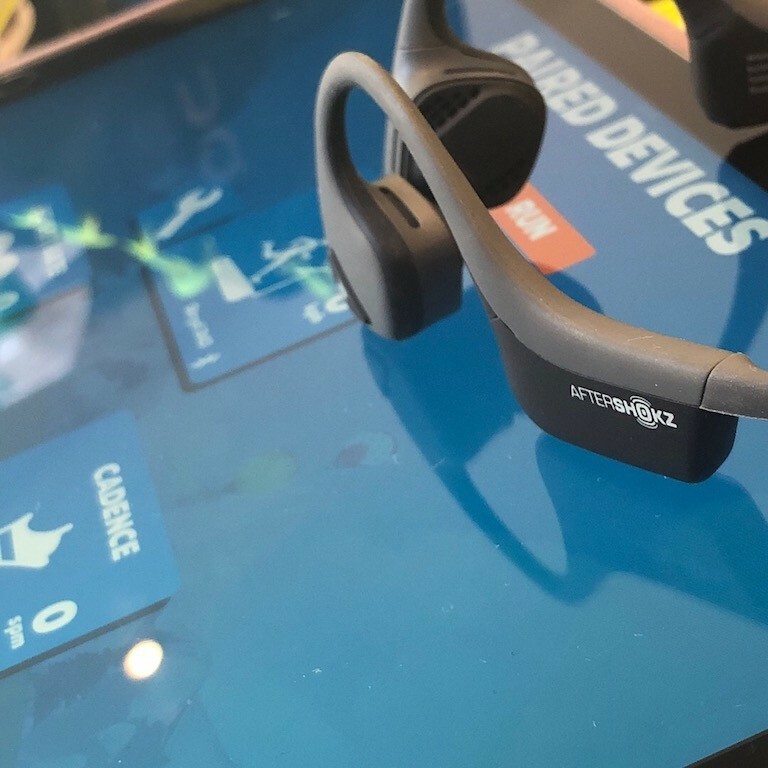 The headphone pad vibrates, transmitting the sound THROUGH YOUR SKULL, bypassing your eardrum, into the sound sensing organ of the cochlear – giving you sound inside your head! 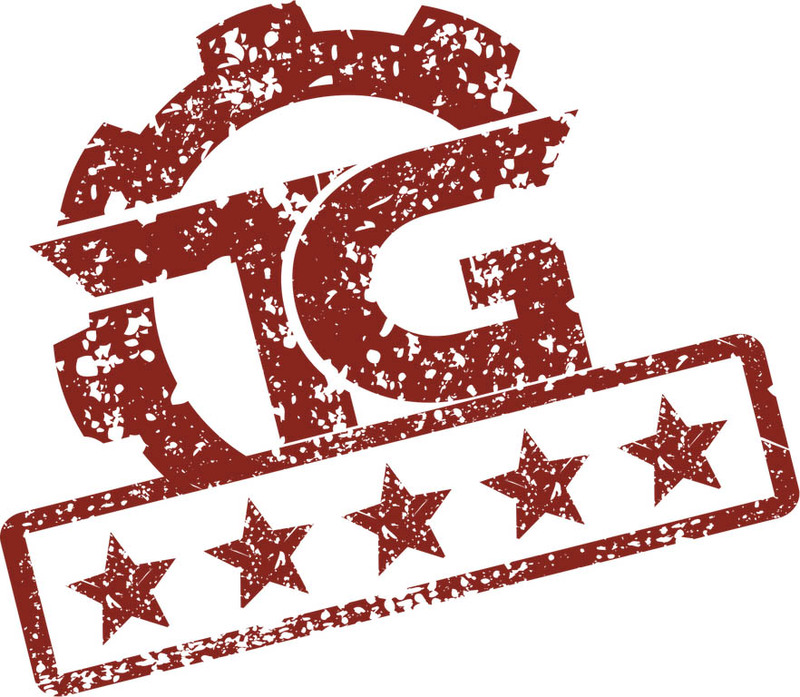 Those who have read a few of the TitaniumGeek reviews will appreciate that I’m not really one of hyperbole. 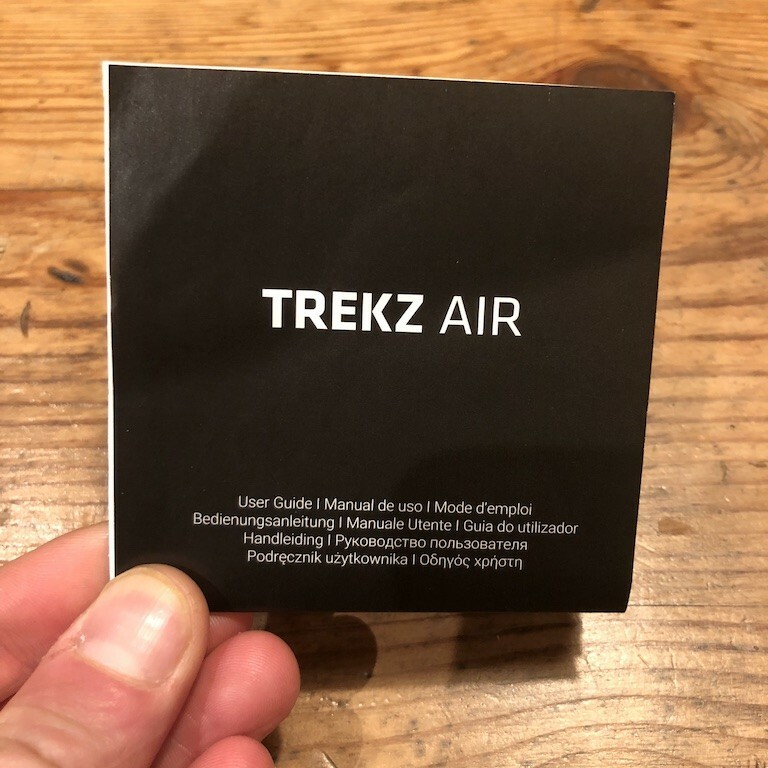 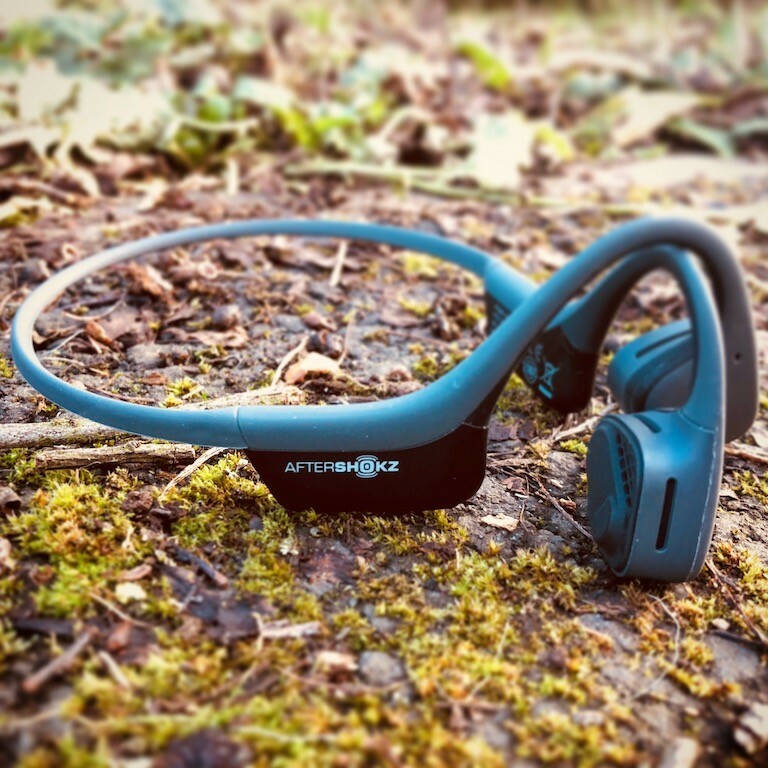 But when you pause and think about bone conduction headphones – and that fact that we’re using structural conductive acoustics… for headphones, it’s actually is really rather cool!So that’s the science dealt with, let’s actually look at the AfterShokz Trekz Air headphones, shall we? 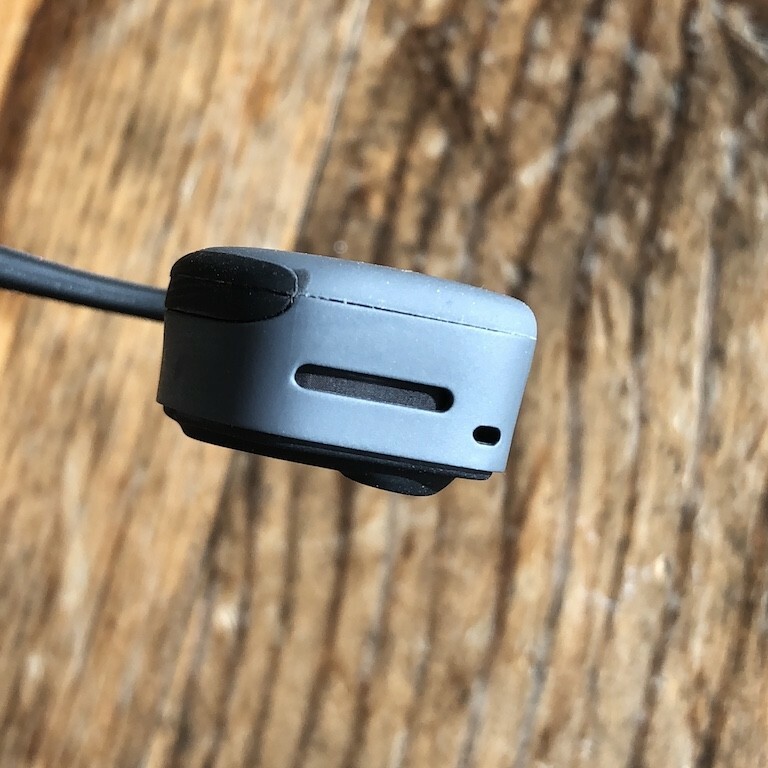 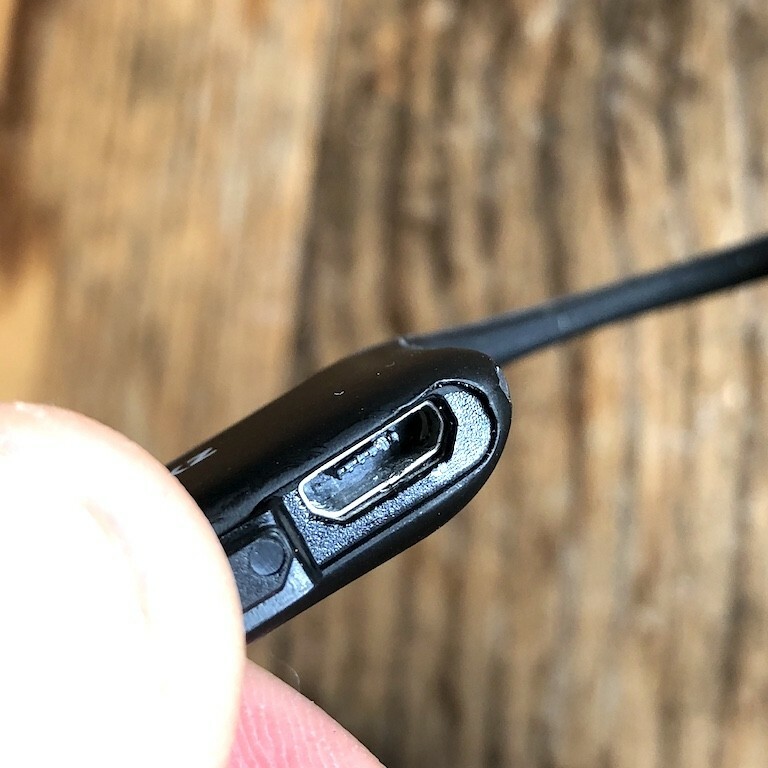 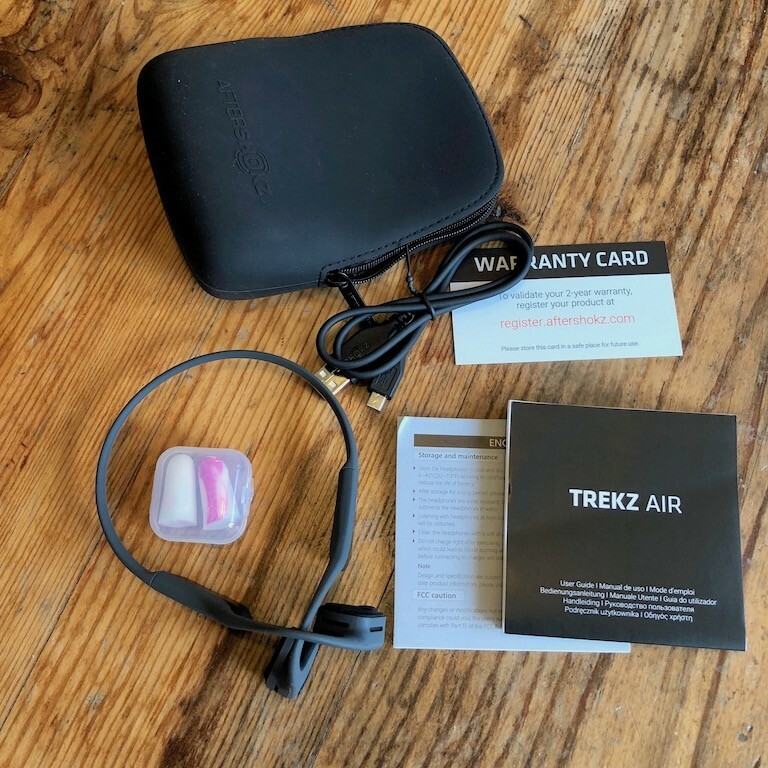 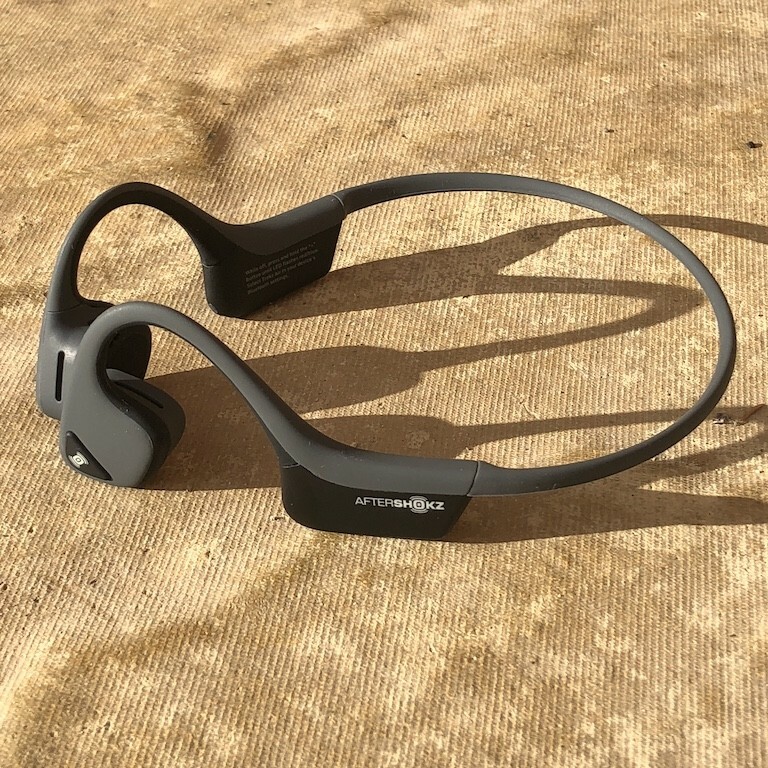 AfterShokz Trekz Air headphones review! 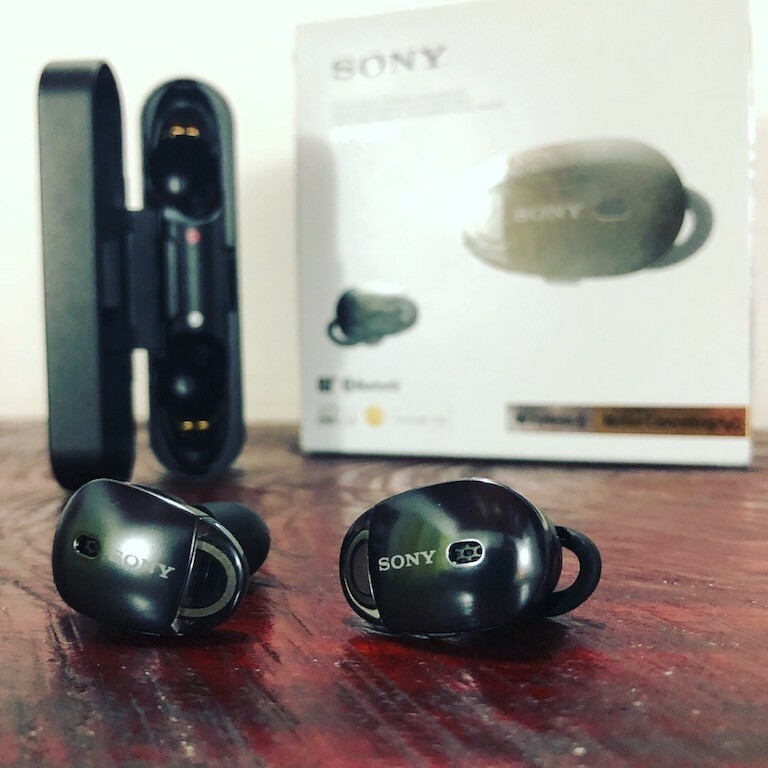 When I was travelling at the end of 2017 I bought a snazzy pair of Sony Mx1000 ear pods. 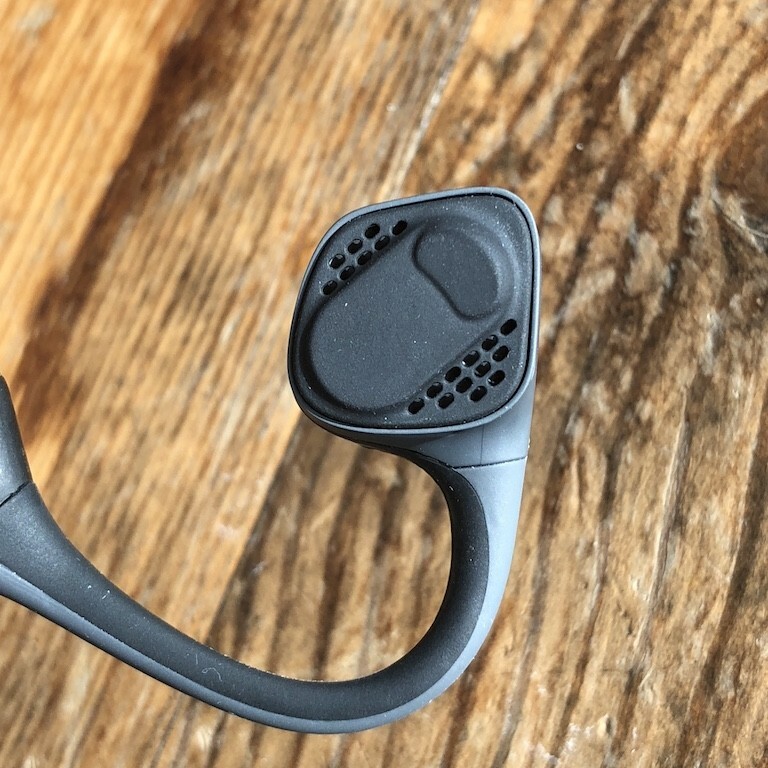 Great bits of kit, and terrific sound reproduction, and active noise cancelling. 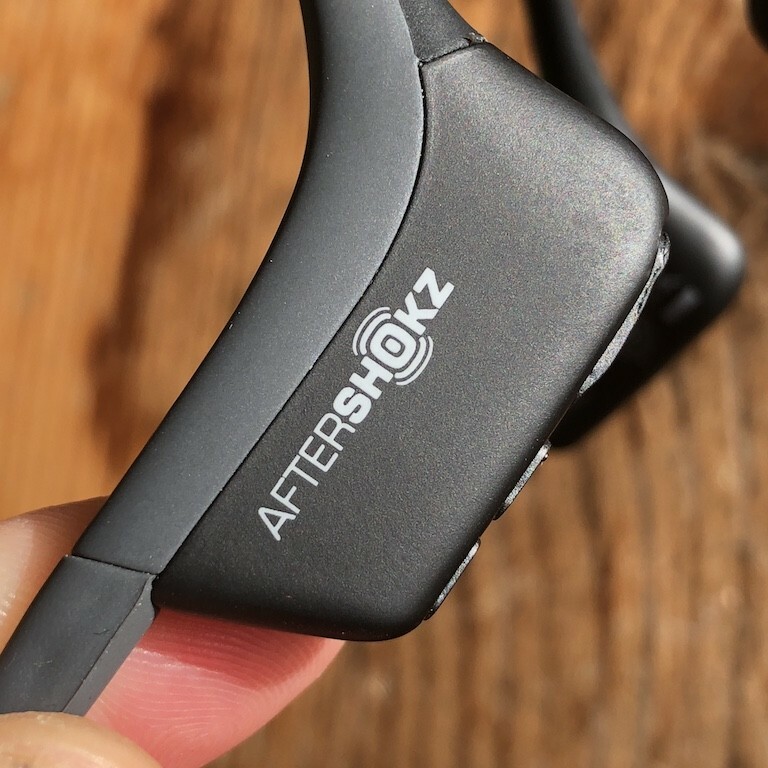 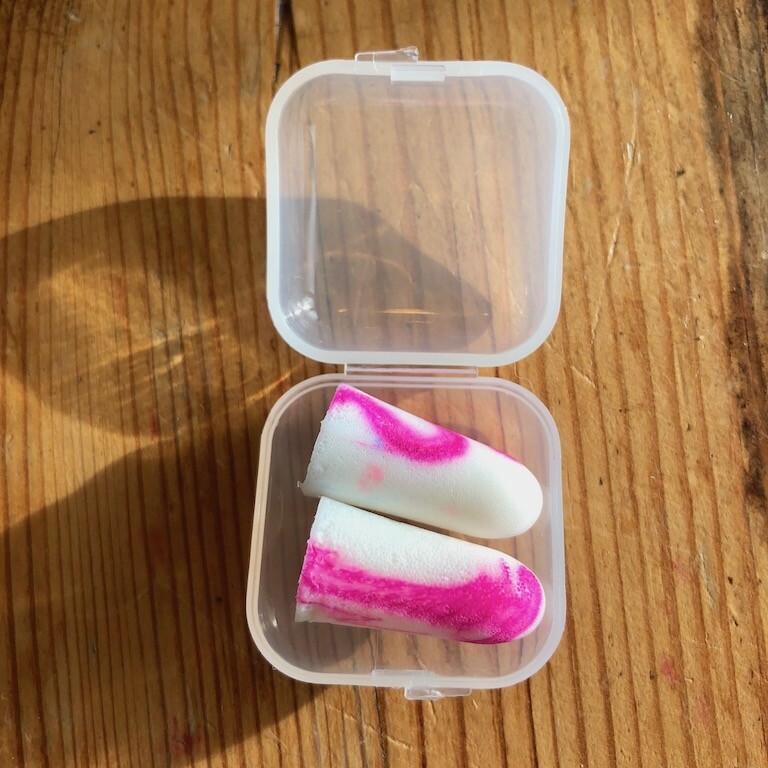 Whilst these little ear pods are terrific… I’ve actually found that I’m using the AfterShokz Trekz Air more often. 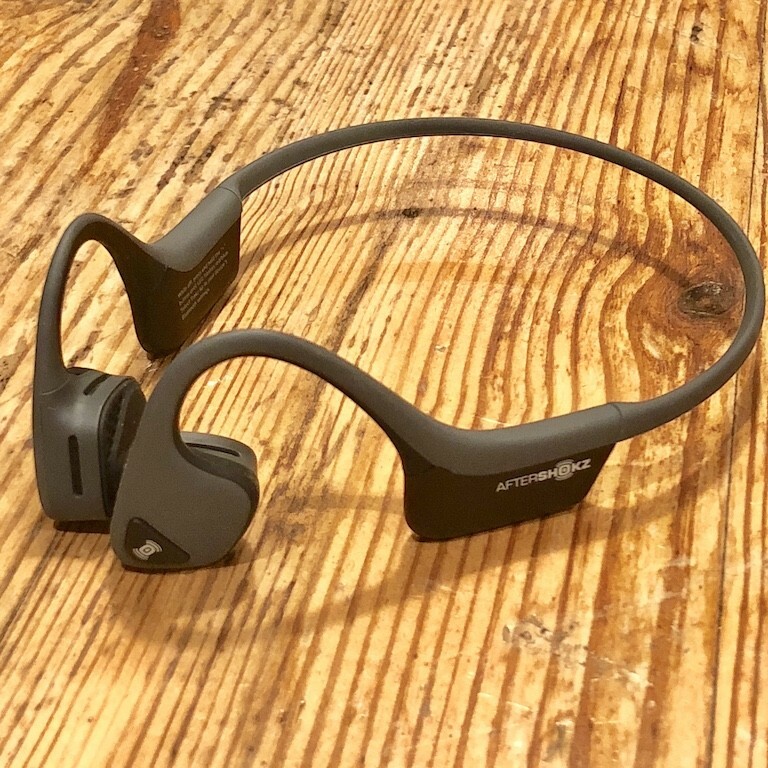 Yes, the Sony’s are easy to put in a pocket, but for everything else, the AfterShokz Trekz Air are as good and have a 6hr battery life. 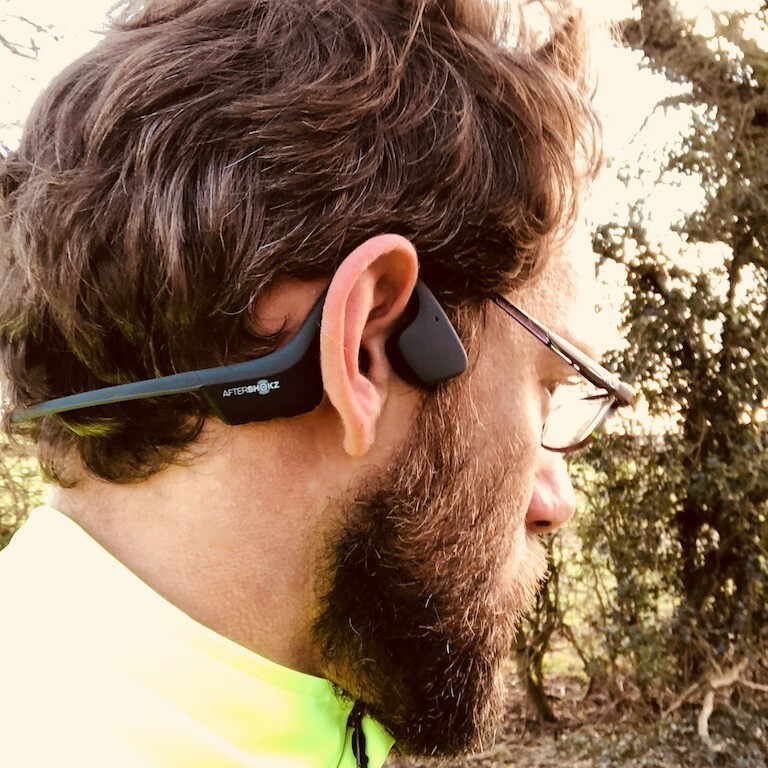 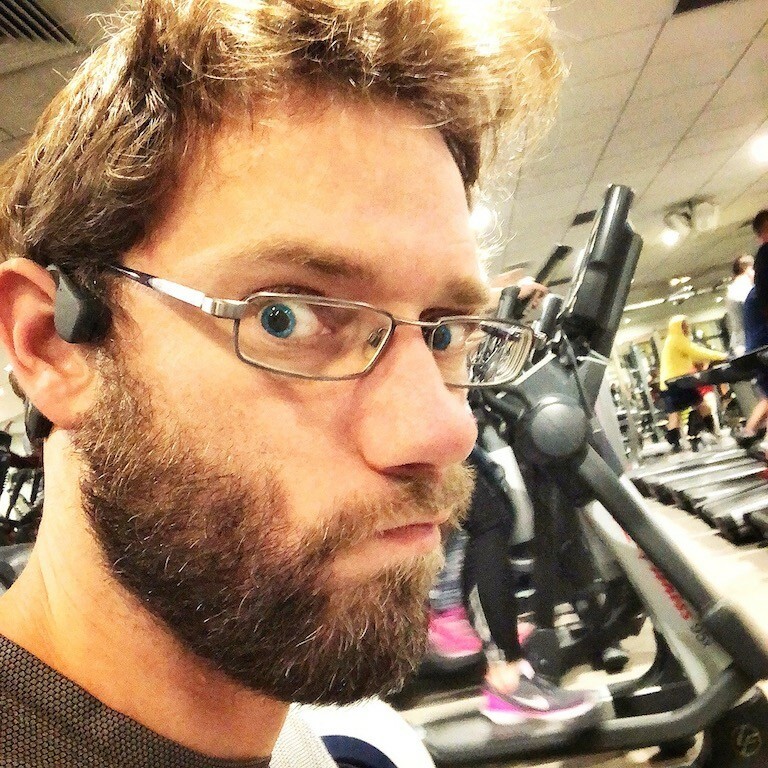 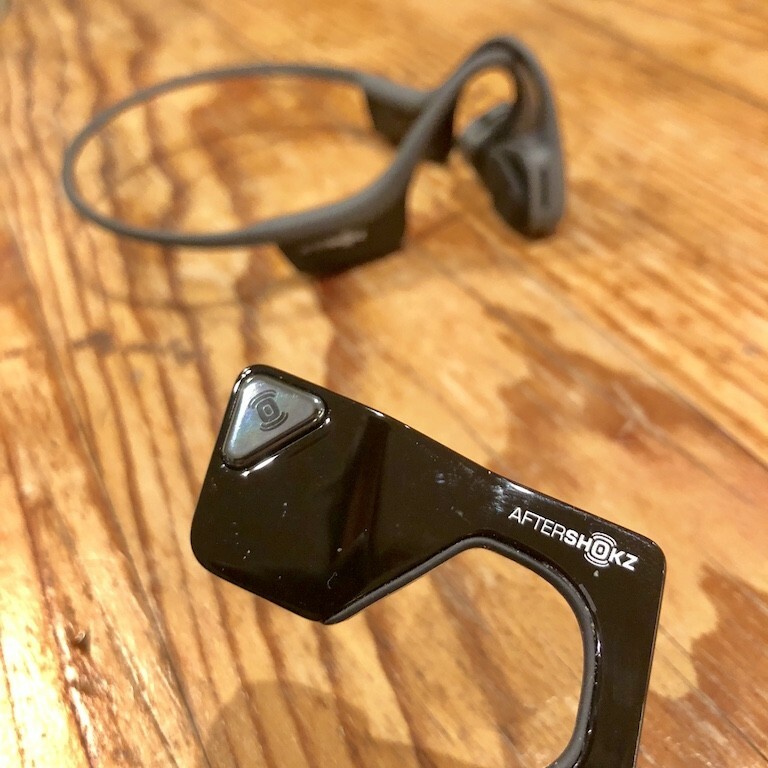 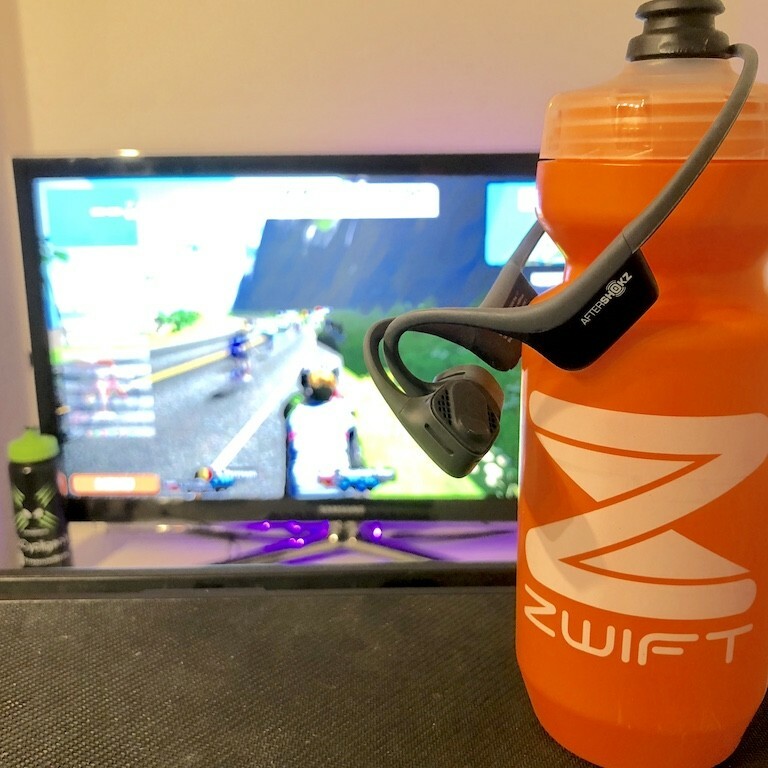 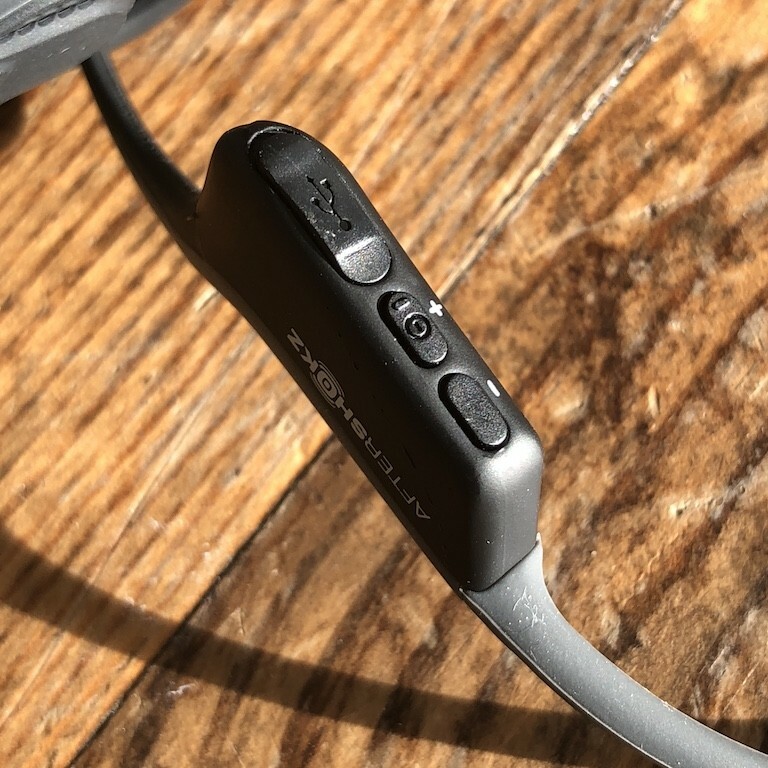 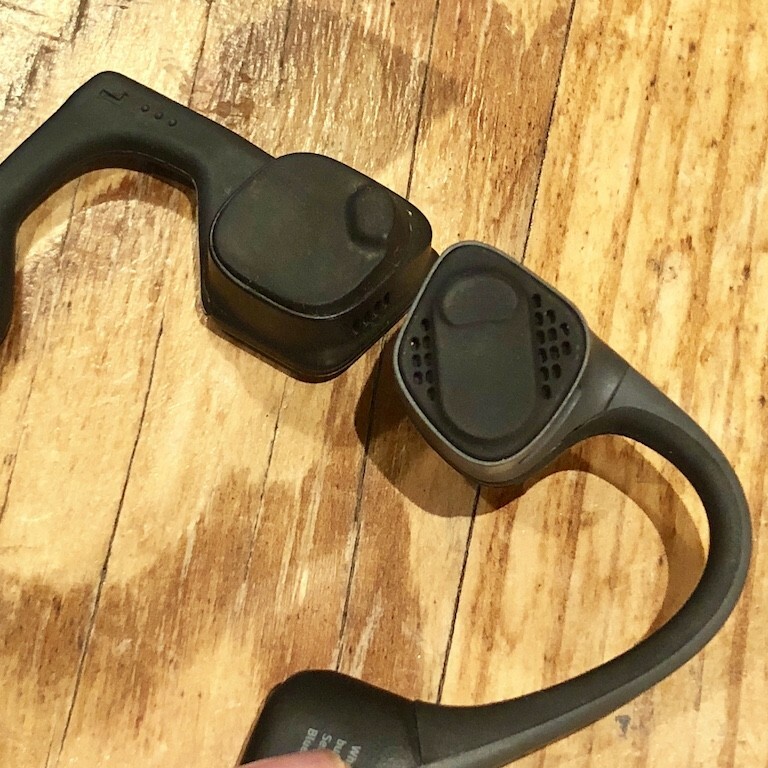 I’ve been thoroughly impressed with the AfterShokz Trekz Air, the sound quality is great, the ability to run along and hear the traffic, other cyclists, pedestrians, heck just ambient noises is terrific.The lightness of the AfterShokz Trekz Air’s is probably one reason I’m finding that I grab them so often, the literally disappear when you wear them for a run, and so thin that your helmet doesn’t get in the way either.So from my perspective with the AfterShokz Trekz Air, bone conduction headphones have come of age!Which has to be a 5/5 from me!